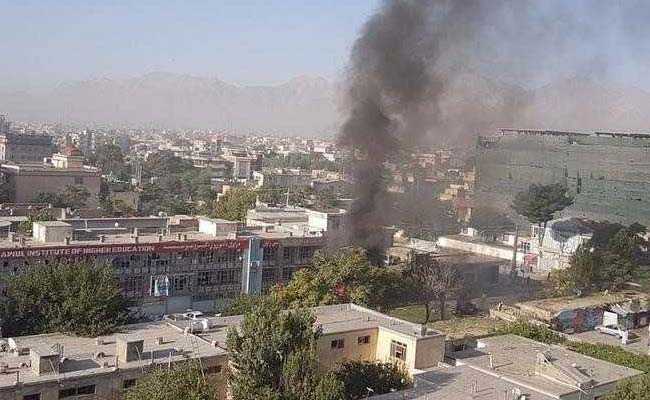 Kabul: A bomb hidden in an ambulance killed at least 17 people and wounded about 110 at a police checkpoint in the Afghan capital Kabul on Saturday, in an area near foreign embassies and government buildings, officials said. "It is a massacre," said Dejan Panic coordinator in Afghanistan for the Italian aid group Emergency, which runs a nearby trauma hospital. In a message on Twitter, the group said more than 50 wounded had been brought in to that hospital alone. A plume of grey smoke rose from the blast area in the city centre and buildings hundreds of metres away were shaken by the force of the explosion.